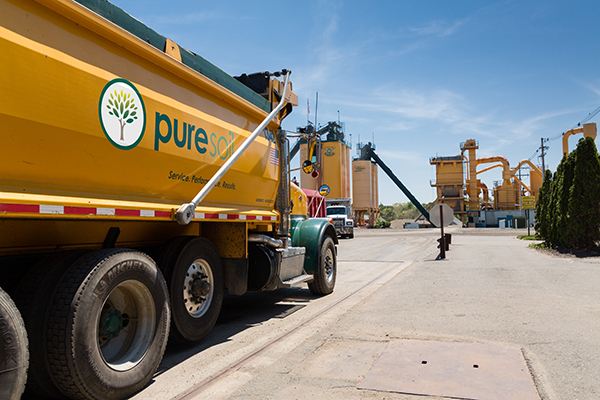 At Pure Soil, we understand that the costs to transport recyclable materials are significant. The rising costs of fuel and steel ensure this will remain the case for the foreseeable future. We also understand that getting and managing truckers so that your project flows smoothly and efficiently is equally daunting. Congested roadways, tunnels, and bridges make for an unpredictable turn around times and increased time waiting for trucks. This wasted time is money lost. Often times, it is money that cannot be recovered and can easily push a project into the red. Through our exclusive utilization of the areas largest trucking fleets, we can offer our customers the ability to hit a job hard, in order to minimize your exposure. 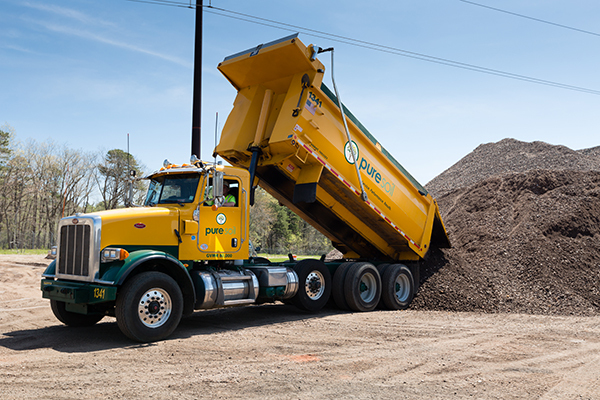 Many of our trucks are radio dispatched and monitored by GPS for improved project control. Our Trucking Dispatcher can schedule your trucks according to the individual needs of your project and will monitor their performance throughout the project to help ensure efficiency. Furthermore, our truckers are experts in transporting materials to and from construction sites. We utilize only the best trucking fleet operators in the area to ensure we get professional and safe drivers. You can expect a level of professionalism and quality unmatched anywhere in the business. 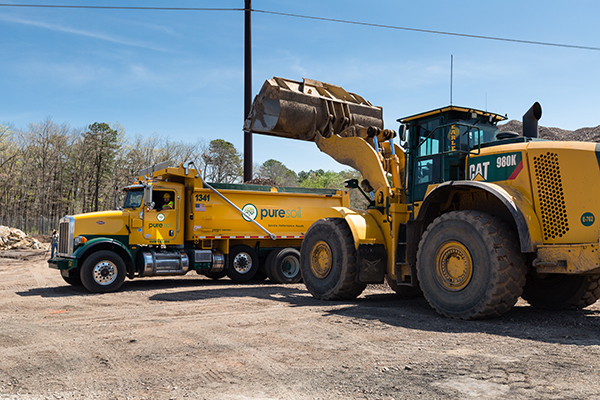 Often times the trucks you will get are some of our fleets that work exclusively for Pure Soil. Equipped with all late model state of the art trucks these drivers understand the costs associated with trucking. 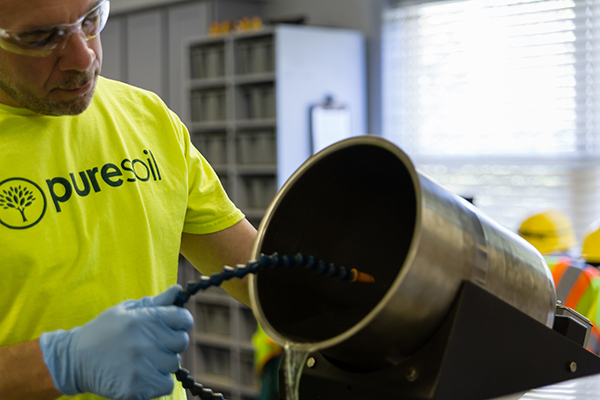 They haul materials for us day in and day out and have earned a spot on our team by their ability to do the job right. As part of a team-based approach to working with our customers, we are always looking for ways that we can use our strengths to the advantage of our customers. It is this approach that allows our customers to work effectively and be profitable. If we are successful in doing so we know we will be their company of choice for future projects. 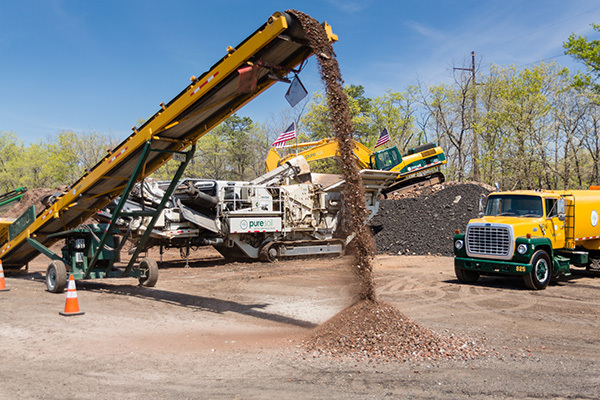 Pure Soil is New Jersey’s leading recycling company for petroleum contaminated soil, broken concrete, broken asphalt, brick, rock, and block. © 2016 PureSoil. The Earle Companies. All rights reserved.